Kitty Hawk NC is the embodiment of beautiful north-eastern North Carolina and the Outer Banks OBX. It became world- famous in 1903 when two bicycle-building brothers came to Kill Devil Hills, bringing with them their Wright Flyer. But it’s always been a favorite travel destination prior to even British colonization, known for abundant resources and coastal NC charm. 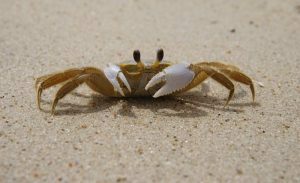 Kitty Hawk is believed to be the closest English pronunciation to a native Indian word, Chickahauk, meaning “goose hunting grounds.” To this day, the Outer Banks is rich in resources, including hunting, fishing, and aquatic sporting. The stunning views, sunny weather, and relaxed atmosphere are a draw to big-city North Carolinians in Raleigh and Charlotte, as well as residents from DC-Metro and Virginia. With literally thousands of vehicles on the streets in Dare County and people preoccupied with sight-seeing, vehicle vs. pedestrian accidents and vehicle vs bicycle accidents spike during peak vacation periods in Kitty Hawk NC. The injuries associated with failure to yield right away, cross walk incursions, and side-swiping bicyclists can be life-changing, if not catastrophic. Bicycle accidents carry an additional level of risk of TBI Traumatic Brain Injury and Spinal Cord Injuries, due to the relative speeds of the vehicles and their respective weights. When struck during a car accident, the forward momentum of bicycles can result in head injuries in addition to hand, wrist, and shoulder injuries. Road rash associated with bicycle and motorcycle accidents is notoriously slow to heal and may cause life-long scarring. If you or a loved-one has been injured in an Outer Banks Bicycle Accident, seek medical treatment immediately. Closed-head injuries, including severe concussive trauma can be difficult to detect at first. If you are dizzy, have memory loss, lost consciousness, feel nauseous, or continue to have a head-ache, it’s imperative you see a doctor without delay. Talking to a lawyer need not be an intimidating experience. We went to law school and practice law because we want to help people. If you’re looking for Outer Banks Lawyers who handle bicycle accident cases or Googled, “OBX Lawyers,” we’re here to help. We charge nothing for legal consultations. It’s OK if you only want to call the office, ask questions, and see what we can do to help. While we’re always willing to sit down and talk, given many of our clients injured in OBX accidents are from out-of-state, sometimes technology is the way to go with video-conferencing using things like Zoom.us, GoToMeeting, Skype, or Facetime. Of course, we’re also only a call away if you want to give us a ring at: (252) 299-5300. Kitty Hawk, North Carolina was visited by a young Robert Frost in 1894, who would later write his moving “Kitty Hawk”, a report of the fate of Aaron Burr’s daughter, Theodosia. 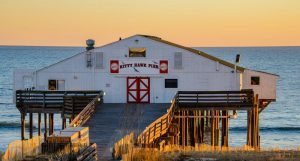 Today, Kitty Hawk, North Carolina provides some of the best beach recreation and resorts on the North Carolina coast, though it will always be known as the birthplace of aviation. The actual 1903 flight by the Wright brothers took place 4 miles south of Kitty Hawk in Kill Devil Hills, North Carolina. However, the brothers stayed in Kitty Hawk and their historic telegram was sent from Kitty Hawk. For helpful links, visit The Fate of Theodosia Burr, The Wright Brothers Flight, The Wright Brothers National Memorial and Visitor Center, A Brief Timeline, The Outer Banks and First Flight Centennial.